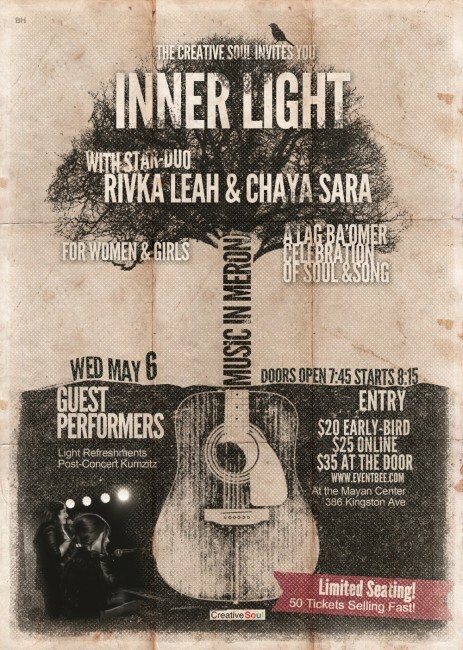 The Creative Soul invites women and girls to celebrate Lag Ba’omer this Wednesday, May 6, with talented and celebrated music artists Rivka Leah (Cylich) Velkovich and Chaya Sara Weiss. 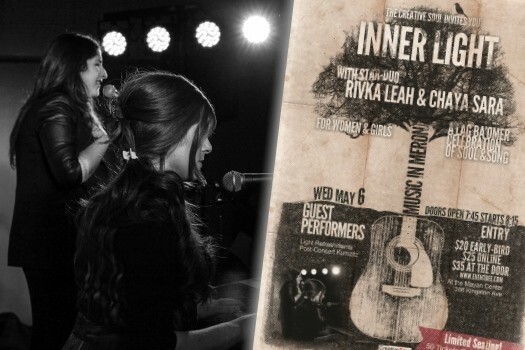 The star-duo have enraptured audiences across the world with their upbeat music and contemporary style, and are bringing their much loved melodies to Brooklyn with a taste of the Simcha of Meron this Wednesday night. The concert will take place at The Mayan Center, 386 Kingston Ave., at 8:00pm. 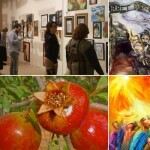 Guarantee your seat and your discount online rate by booking online at http://www.eventbee.com/event?eid=141435444. 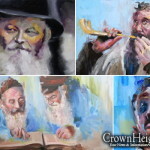 The Creative Soul is a Jewish art organization whose goal is to promote creativity and emerging artists within the orthodox/chassidic community and share their unique vision with the world: a vision of exploring and celebrating Judaism through the arts. 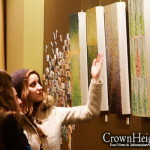 For more information visit www.thecreativesoul.org.